When it came time to replace my Galaxy Nexus, I chose the best Android experience I could get on Verizon. I couldn’t get the Nexus 5 since it isn’t available on Verizon, and I wasn’t going to throw away money on a Google Play Edition phone since I’m on contract with Verizon which charges just as much whether you buy on contract or not. Fortunately, under Google’s ownership, Motorolla’s latest line-up have been near pure android — and the additions they made to the OS are actually really spectacular. My only choice then was between the Droid Maxx (not to be confused with the RAZR Maxx or the RAZR Maxx HD…) or the Moto X. While the Maxx had better battery life and a bigger screen, it was a tank of a phone. Besides this I really love the story of the Moto X. It is entirely manufactured in America, was designed based on statistical averages of human hand size, and available in a wide range of colors and styles (which also required a revolution in manufacturing techniques). While it’s specs appear somewhat mediocre compared to some oft he other juggernaut phones, every review sung it’s praises, which is supported by my experience, which has seen nothing but brilliant performance in the 5 months that I’ve owned it. Of course, I was also pulled to the Moto X, because I get to have a green phone! The original color options did include the Spearmint Green back, but I couldn’t decide on an accent color that complimented it. Then, Motorola came out with their College Collection, which added a slew of new colors to the mix, including a metallic green accent color. While I was at first concerned that the Metallic Green wouldn’t show up well against the Spearmint Green back, I figured the difference in luster would let the metal shine, and that I’d rather have subtle green accents than a contrasting color. In the past we just walked in the Verizon store every 2 years (or 20 months), did our business, set it up, and walked out. This time around we were trying to be a bit more savvy, so we shoppe around and found that Best Buy would give us an additional $50-$100 off (I can’t even remember now which promotion they were running). I was nervous about having to sign a Best Buy contract on top of a Verizon contract, but found my fears were out of date. Turns out, Best Buy just does the Verizon contract stuff with no additional strings attached — all for the privilege of letting them promote their accessories and Geek Squad protection plans. Because customized Moto X’s must be designed and purchased through Motorola’s MotoMaker website, the process of buying on contract was complicated a bit. Basically to simplify things you purchase a MotoMaker voucher at the time of contract renewal to get the phone at the on-contract price and get whatever promo Best Buy is running. Then you enter the code on the voucher into MotoMaker at purchase time (they have a special option for it and everything) and your balance will be $0. Because I also purchased a case on the website, my balance became $24 or so for the case alone. Of course, the problem with a custom designed phone is that the case can easily obscure the custom design. Indeed, the plethora of snazzy cases almost precludes the need for a custom designed phone in the first place. Because of the Moto X’s customizability, there are of course lots of clear cases to choose from. Since I got a good deal on the Moto X anyway, I went ahead and ordered the case directly from Motorola when I ordered my phone. I chose the Air Jacket Grip by Power Support. Here’s a gallery showing off the phone, case, and how they look together. Click a picture for a slideshow view with some additional comments on each image. Moto X back side without case. Moto X laying down without case. Moto X camera ring and dimple. Moto X side view showing the metallic green buttons. View from front showing a hint of the back plate. The Air Jacket Grip case by itself. View of the USB Port cutout in the Moto X case. Side view of the Moto X showing the volume and power button covers provided by the case. When would I find time for blog writing? Who would willingly subject themselves to reading my blog? What will my ‘friends’ think? Will anyone make it this far on my first post? My name is Brett Ables. I live in Huntsville, AL (aka Rocket City) with my wife and two cats, Mocha and Snowshoe. In addition to working on the house and spending time with family, I am involved in my church’s young adult group and passionate about my work. Because Starfleet Academy doesn’t exist yet, I did the next best thing and got a degree in Aerospace Engineering which I apply daily at work in propulsion analysis. While I masquerade as an engineer, my more abstract side enjoys things like writing poetry, playing flute and piano, graphic design, and wacky modern jazz improvisation. For better or worse, my personality has always tended to ebb and flow with my surroundings and my friends. When I did Boy Scouts I could also claim that I loved camping, backpacking, and week-long canoe expeditions. In high school I was also a ‘runner’ because I was on the cross country team. Now I’m an out of shape lunk who codes more than he should at work, plays video games more than he should at home, hasn’t really played his flute for 4 years, and considers Netflix a hobby. My arc from unpopular nerd, to semi-popular Renaissance man in high school, to all-nighter pulling engineering student, to home-owning husband and rocket scientist has given me a lot to think about. Anyways programming began for me in a C++ class freshman year of college, after which I didn’t see C++ again for over 10 years. Useful programming began a bit later in college with a mix of Matlab, MathCAD, Excel VBA and whatever my TI-89 could muster. In my co-op jobs I was always cobbling together tools with Matlab and Excel to automate whatever tedious calibration or data processing task I’d been given. Now, in my 3 or 4 years of professional career, I’ve been moving all long-term projects to Python. So now for new tasks I choose between Excel w/o VBA, Excel w/ VBA, Excel Add-In with VB.Net and ExcelDNA, Matlab, or Python. My latest project involves a GUI which wraps a command-line FORTRAN-based analysis code. The GUI enables 2D/3D visualization of all the geometric inputs and outputs and a much more user friendly and interactive interface for lots of optional analysis inputs. My goal is an executable GUI application that “just works” for my coworkers with an installer, automatic updates, and mostly self-contained dependencies. To this end I’ve been using the Qt application framework with the PySide python bindings, plotting tools like pyqtgraph, mayavi, and matplotlib, the Esky auto-updating framework, the py2exe packager, Inno for the installer, Mercurial and TortoiseHg for version control, and the PyCharm IDE. This and other software development / coding projects have provided a wealth of blog-worthy challenges and experiences. Tales of epic nerd-dom are par for the course. I am an avid fan of Star Trek, Doctor Who, Stargate, Star Wars, Lord of the Rings, Video Games, Big Bang Theory, and much more. However as has been said before, being a fan of all these things would simply make me a geek… as a nerd, my favorite fiction is merely a reflection of how I live my life. I have Excel files documenting all of my hobbies and pursuits. I personally relate to more than 90% of Weird Al’s White and Nerdy. I was a nerd long before Big Bang Theory made it almost socially acceptable to be socially unaccepted. I went to Space Camp as a kid and grew up to be a rocket scientist. I am proud of who I am and the culture that I’m a part of so I may sound off with unfettered nerdiness from time to time. 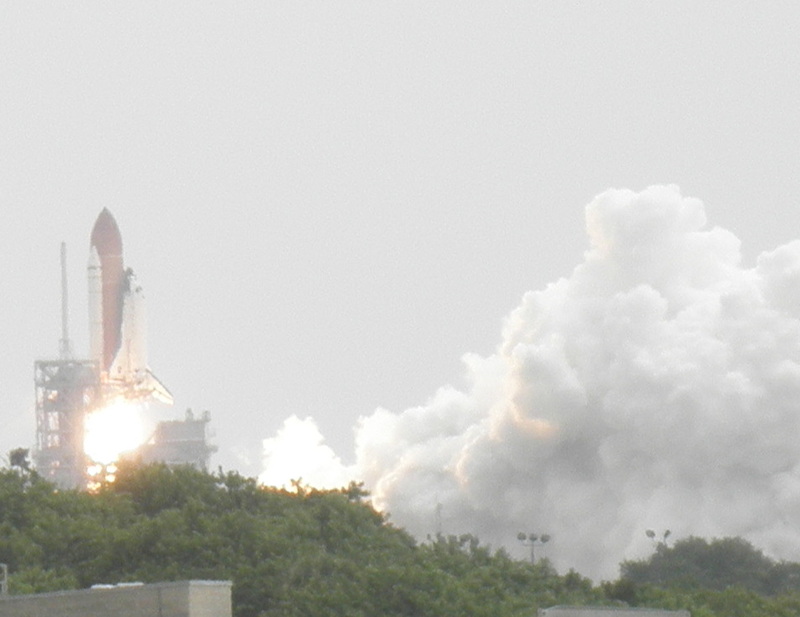 My view of the STS-135 launch from the Vehicle Assembly Building. While other hobbies have come and gone throughout my life, video games have always been there… right alongside eating goldfish crackers, staying up too late, and pretending I know Kung Fu after watching movies. I’ve always been a Nintendo kid, and I still have my NES, SNES, N64, and Wii. During the GameCube era I soiled my record slightly by having a PS2 (though I do get some nerd cred for winning the PS2 at a Chick-fil-a Christmas party by getting the highest score on DDR!). I love the classic Nintendo franchises, Mario, The Legend of Zelda, Donkey Kong, Mario Kart, Metroid, Kirby, etc, but my gamer soul really sings with RPGs (Role-Playing Games). I got my start with Breath of Fire, which lead to Mario RPG, Earthbound, Breath of Fire II, III, and IV, Chrono Trigger, Chrono Cross, Dark Cloud 2, Rogue Galaxy, Dragon Quest VIII, Morrowind, Oblivion, Mass Effect 1 and 2, Final Fantasy VI, VIII, and IV, and now Xenoblade Chronicles. In addition to playing video games, I also follow a lot of video game blogs and am interested in how games are evolving as an interactive form of media alongside literature, music, and film. The stereotypes and tropes of gamer culture are breaking down in places and being reinforced in others. While I proud to be a part of nerd culture, I have to tread lightly calling myself a gamer, because the gaming industry still caters so strongly to violence-loving, adolescent males. There is beauty in games and in the experience of playing them, just as deep or shallow as reading a book, watching a movie, or listening to music. The Brainy Gamer probably best captures the type of gaming-related discussions that I find compelling. Perhaps this blog will provide a platform for another voice on gaming culture. Next time I hack around with DD-WRT on my router, drool over a new Android phone, set up linux (again…) on my HTPC, or whatever, I’ll document my exploits for the world to learn from my numerous mistakes. First tip: don’t actually drool on a new phone. In addition to more topical topics, I may also ramble on about myself or random life experiences on occasion. At the moment life is house/cat-sitting while our kitchen is being renovated. Yesterday, we were still vibrating for a few hours after they had finished pulverizing our previous tile into dust. Despite our masking efforts, the living room was a little like Pompeii with a nice layer of powder on everything. We redoubled our efforts, covering furniture and whatnot in fear of the concrete saw coming in today and they somehow produced zero dust today… go figure. Fortunately, this renovacation has given the entire internet the opportunity to hear my various ramblings through this blog. Now I just need to get on Twitter so I can be trendy with Hashtags like #renovacation. Well, I guess I’ve rambled enough for a first post. 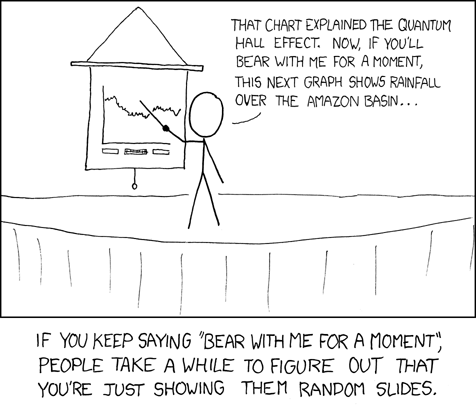 Please, bear with me as I get this whole blogging thing figured out. I’ll probably be playing around a lot with themes and whatever tricks WordPress can do for free (“WordPress, roll over! aww… $10”).